When hearing the words ‘three-part harmony’, what types of music come to mind? Gospel might be first and foremost, with soul and country close behind. How about this magazine’s favorite subject? Most of the harmony there typically comes via instrumentation, especially guitar and keyboards. However, Finland’s Micke Björklöf (Micke, pronounced ‘Mickey’), his colleague Lefty (Lefty Leppänen) and frequent trio member Chef (Chef Kivimäki) aim to bring this vocal specialization back to the blues. Track 02: “I’m a Guitar Man” – This autobiographical, up-tempo tune with a rollicking beat and witty lyrics could (and probably should) have been first. Lefty Leppänen launches into it with friendly ferocity: “Started out as a troubadour; I played the streets and bars. I never made the headlines like ‘em rock and roll stars. 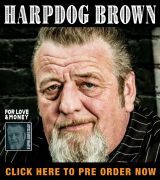 But I don’t mind – I’m a boy no more, and I’ve found the thing that I’m looking for.” His mastery of the National steel guitar is consummate, especially on the song’s bridge. He also sings carefree lead vocals, which are only a trifle hard to understand. 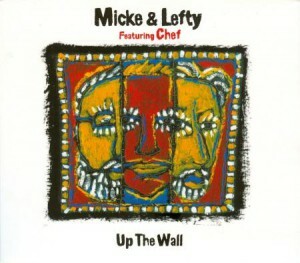 Track 03: “Up the Wall” – The title track is a traditional electric blues stomp, featuring a killer electric guitar refrain by Lefty and whip crack-style sound effects to mark the beat. Everything about “Up the Wall” screams ’blues purist heaven’ in blazing red neon lights. “Gimme your number,” Micke pleads repeatedly, but when punctuated by the cracking sound, it seems far more like a command than a request. Is this a romantic song? Maybe not, but it’s danceable anyway. Track 08: “Busy” – Number eight may be considered the flip side of “Up the Wall”, after all the metaphorical ‘climbing’ has been accomplished. Our narrator has found that it’s time to settle down: “Workin’ like a bee, lovin’ like a man. Feeding the tribe, I do the best I can. I’ve been busy – I’ve been a good ole family guy. I’ll keep the big wheels a-rollin’ until the day I die.” Micke plays suitcase, hi-hat drums and triangle while Lefty takes the vocal lead again. 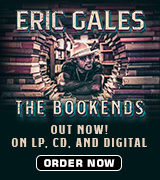 Included with this album is a handy lyrics booklet. 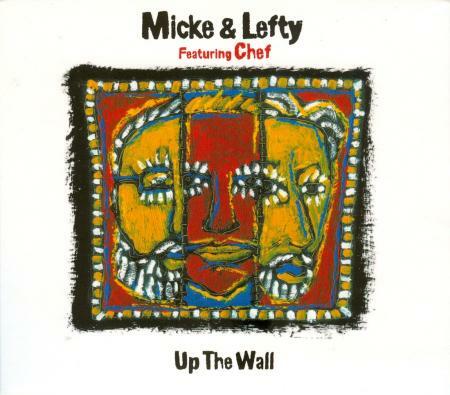 Micke and Lefty will drive blues fans Up the Wall – with desire to hit the ‘play’ button on their CD players!